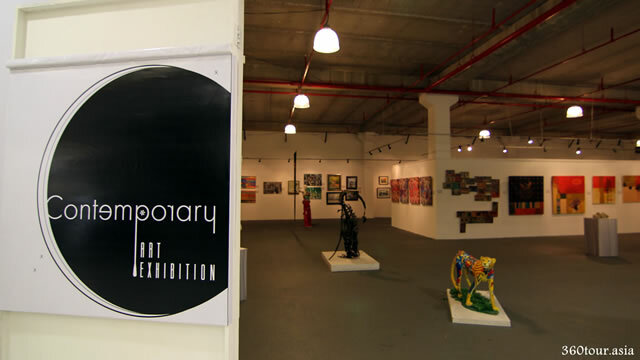 Opening Hours : Sunday to Thursday 10AM to 10PM, Friday to Saturday and Public Holiday 10Am to 10.30PM. Address : No 88, Lot 3458, Block 10 KCLD, Jalan Datuk Patinggi Ahmad Zaidi Adruce, 93150 Kuching, Sarawak. Getting There : Being a modern shopping mall that placed beside the busy main road Jalan Tun Ahmad Zaidi Adruce and close connection with another main road Jalan Rock, this mall is easily accessible for visitors from Kuching City Centre and various other parts of Kuching – Batu kawa area. There is more than 1,800 parking bay in their multi layer parking space spreading across the building which welcomes visitor with own transport. The mall is also usually packed with Taxi and e-hailing rides such as Grab Car. Furthermore there is also Free Shuttle Bus from various part of Kuching such as Kuching Waterfront, Riverside Majestic and Sarawak General Hospital. The AEON Mall Kuching Central is the First AEON store in East Malaysia, Offering more than 130 retail lots across three retail floors with over 1.6 square feet of gross build up areas. There is many famous brands and outlets available, ranging from fashions, appliances, groceries, garments, utensils, food and beverages and many more. The Mid-Autumn festival is celebrated on the 15th day of 8th month of the lunar calendar every year. It is a harvest festival celebrated mainly by Chinese and Vietnamese people. It is a day for Reunion (full moon means reunion – Chinese folks usually works afar, and usually practice two time of reunion in a year – Lunar new year and Mid Autumn festival) , Thanksgiving (celebrating a year of fruitful harvest before coming of winter) and Praying (Moon worship and moon gazing). The celebration of Mid-Autumn festival slightly differs from place to place. In Malaysia, Singapore and Indonesia, it is known as Lantern festival or Mooncake Festival. The hallmark of the celebration is making of colorful lanterns, walking with lanterns, moon gazing and making moon cakes. Lanterns symbolizes lights, hope and wish making. In modern times, lanterns has much commercially evolves into various shape and sizes, from candle powered to battery powered . Musical lanterns and motion lanterns is also common. Some folks will release sky lanterns to pray for wealth, peace and prosperity as wishes written on these sky lanterns raise to the sky (heavens). Another tradition which relates to lanterns is the lantern riddles, where riddles is written on the lantern or place below lanterns for other to guess the answer. Mooncakes resembles a full moon symbolize reunion as their shape is round which means completeness. The moon cakes is commonly given as a token of appreciation between friends and family. Sharing a slice from a moon cake among family members is also symbolize togetherness and unity. AEON Mall Kuching Central is known as a modern mall with clean outlooks, minimalist yet rich of features and spacious walkways. The decoration for the festival is generally minimal around the mall, but visitors will not miss the central court where the major decoration lies. The lanterns along the walkways at AEON Mall. The rows of lit up lanterns forming a maze at the central court is not to be miss. The lanterns is all uniformly round and some of them have lantern drawings on them. These lanterns arrange as a linear fashion along a vertical wire forming the external walls of the maze. It do appears as lanterns floating around the maze while visitors stays inside of the maze. A view of the Mid-Autumn Festival exhibition. The decoration for the Mid-Autumn Festival. The rotating mural depicts the Famous Chinese Myth of Mid-Autumn Festival. The Lantern hanging around the maze. As usual, the Mall loves to educate the visitors while enjoying their decorations. There is several information posters around the maze with fun facts of the festival and the moon. There is also mini games and riddles around the maze and visitors can play with the lantern riddles. Poems that is related to unity, moon and the festival is also placed along the maze walls. It is an educational trip for those who can understand Chinese, as some of the riddles and poems are best understand in mandarin. The fun facts about the moon phases. After a walk in the maze, you can continue on your shopping journey in the mall.